Revolutionary flow control ensures a gentle touch in Piab's new dedicated tablet conveyor. Taby, Sweden – Successfully solving the problems of using vacuum technology to convey delicate tablets, Piab introduces piFLOW®t, the industry’s first dedicated tablet conveyor. Promising to revolutionise the automated handling of tablets and other fragile and valuable products, the piFLOW®t features innovative and ground breaking new technology (patent pending). ”A controlled low speed, guided entry into the conveyor, and the elimination of all sharp edges are the keys to our success, ensuring that tablets are handled with great care in our conveyors. There will be no more chipped tablets in plants using piFLOW®t,” states Jarno Tahvanainen, Vice President of Piab’s Material Handling division. Suitable for transporting up to four million tablets per hour, piFLOW®t is primarily targeted at the pharmaceutical industry’s tablets and capsules. However, the tablet conveyor can be used to transport any fragile goods within a processing plant. Coated sweets/candy, roasted coffee beans, and whole nuts are other potential applications. 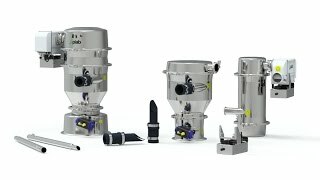 Eliminating the use of inadequate standard equipment and alternative, often back-breaking, manual procedures, piFLOW®t will safely transfer tablets between the various processing units, such as tablet presses, coating drums, and blister packaging lines, avoiding all risks of damage to the tablets. At the core of piFLOW®t is the proprietary piGENTLE™, an innovative technology (patent pending) that maintains a gentle tablet flow by regulating the feed pressure of the pump, ensuring that tablets, capsules or other fragile products are handled as delicately as possible. piFLOW®t is an extension to Piab’s popular and high quality range of piFLOW® conveyors for powder and bulk materials, and is specially developed to meet the stringent demands regarding operational safety and hygiene within the pharmaceutical (piFLOW®p), food (piFLOW®f), and chemical (piFLOW®i) industries.